We have a few new goodies up in the shop! Have you seen them? We have been working night and day in order to bring you some lovely new staple items: A uber comfortable racerback, a softer than butter tan locally embroidered T-shirt, and a 100% cotton scoop neck. I mean how cute is this onesie!? 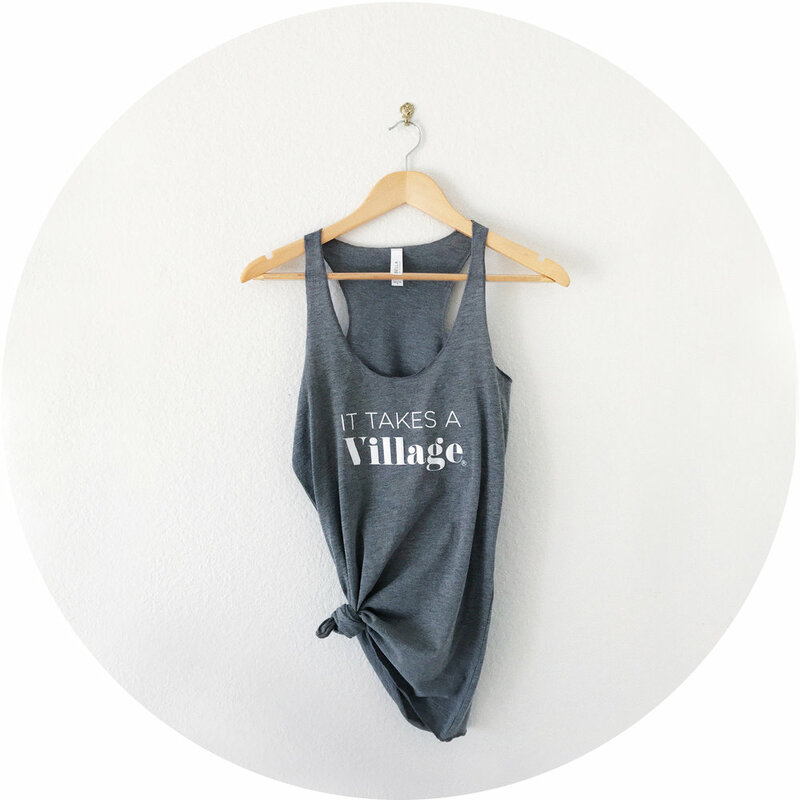 Each with our signature 'It Takes a Village®' slogan. Which one is your favorite? We can't choose, we love all three. Click your favorite piece above and snag yours today!